Our selection of hatchback vehicles offers a great blend of value, style and practicality. No wonder they're so popular with our customers in Birmingham! Suitable for young families and small groups visiting Birmingham, the hatchback provides great fuel economy and an intuitive driving experience. Birmingham Car Rental can hire hatchback vehicles to any driver aged 21 or over. However, if you are aged between 21 and 24, we recommend that you read our young drivers page for more information. To rent a hatchback in Birmingham with us please call 0121 330 0812 or use our online booking facility. 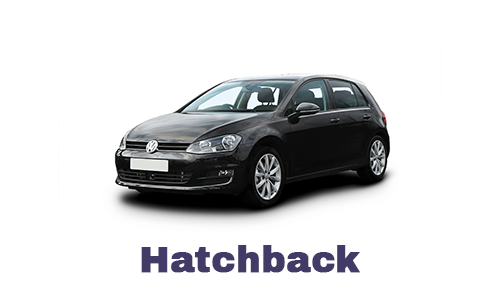 Our fleet of hatchbacks includes a number of vehicles but, at this time, we cannot guarantee a specific make/model. If you'd like more information about hiring a hatchback in Birmingham, please call us on 0121 330 0812 or use the form on our contact page.